Kurkside® is a company of parents who are in the business of helping other parents make it through the day. 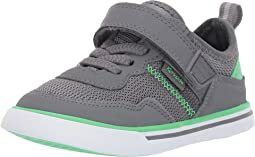 They make premium shoes that are designed for kids, but made for parents. As parents themselves, they’re focused on providing shoes that give you peace of mind and make your life as a parent just a little bit easier, because as you know, the days are long, but the years are short! 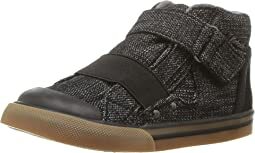 Kurkside shoes offer a wide variety of styles to fit even your pickiest mini-me. The core styles feature seven components that make your life and your little one’s life a whole lot easier. The Kurkside difference is that each style is easy to get on and off, lightweight, flexible, and features a padded collar, toe cap protection, removable foot bed, and a little wiggle room. 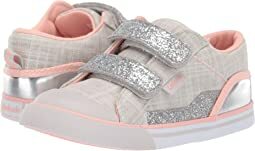 Kurkside’s collection boasts unique styles for kids of every stage, from high-top sneakers to adorably sporty ballerina flats! These shoes fit well with a natural toe box (don’t narrow out at the front), flexible sole, appear to be made well, and look awesome. She’s worn them with and without socks and no blisters. Work great running around on the playground. Haven’t worn them in the water yet but don’t see why they wouldn’t hold up. Easy to get on and off of my almost 3 year old. 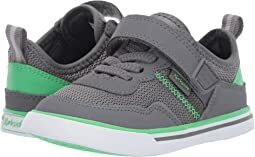 I bought several shoes for my 2 year old son to try on and these were the best by far. They look great, slide on and off easily and dry quickly when wet. It's the perfect combination for a busy boy in the summer! This camo print is so fun! My son has a wider foot and can have a hard time getting on shoes. With this style, there were no issues at all. I love how the shoe opens up completely making it easy to get on and off by himself. We will be coming back for more. This is our second pair of Kurkside's and we wanted to try one of the new styles. My 5 year old picked these out for spring break and we couldn't be happier. She jumped in the water, ran around all day and eventually passed out in the stroller. We took them off and let them dry so she could wear them again the next day. Great color, fits true to size and would absolutely recommend. They run a little big which I had heard and am pleased with so my son can wear them a bit longer because his last pair held up really well. When they arrived my son said “ooh where are we going” since his last pair he wore for the holidays and then dirtied them up at school. Happy with the shoes and worth the $. 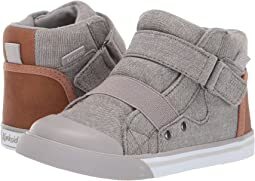 Both of my kids love the high top Barcas - comfortable, easy to put on, and super stylish. Love these shoes! These are cute and my 3 yo granddaughter loves them. This shoes run small, my daughter wears a size 11 and I need it a size 12. The cutest shoes! My daughter loves how sparkly they are! They do run a little big, but I will hold on to them until her feet are a tiny bit bigger. So adorable! My favorite Kurksides are the Barcas, but since I didn't buy them through Zappos, I cannot review them! We LOVE our Kurkside shoes! My 3yo daughter loves these shoes. Easy for her to put on by herself. They are a little big for her right now so she wear socks with them so they don’t chafe. And they are so stinkin’ cute!!! Sparkly shoes are always a winner in our house! I did not know how these would fit or stay on my daughter's foot, but we were both pleasantly surprised. She has a wider foot and the shoe felt a little long, but I always like room for her to grow. The strap is comfortable and makes it easy to get on and off. I like that I can take out the sock and let it breathe. We will be choosing another color once she grows out of these. I needed a shoe for my daughter to wear for a formal event and then use at school. These were perfect. The strap across the front makes it so easy for her to manage all by herself. She feels like such a big kid. Very happy with my purchase. I ordered the beige and the gray in the same size - size 1. Something is wrong with the sizing because the beige was huge in her and the grey was too small. When I put them next to each other it was obvious they were a full size difference apart. So one of them was obviously mis marked, although they both said size 1. They are adorable, but they both had to go back. Excellent shoes! 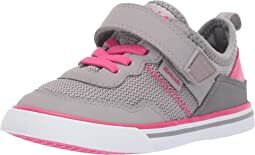 I wanted a quality sneaker for my granddaughter and these fit the bill. She has a wider foot and was able to put them on all by herself. I will be back for more once she grows out of these. We love these shoes. Shoes run a little small so we got a size bigger giving some room to grow into. Our daughter won’t leave the house without them and loves that she can slip them on herself. And I love that the strap across the top keeps the shoes on her feet.